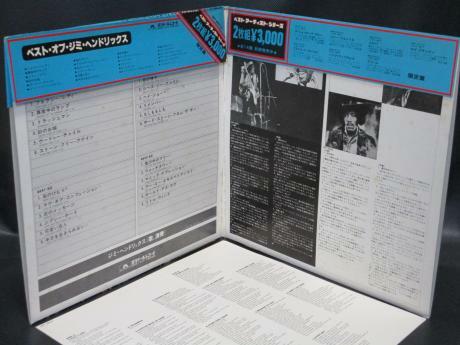 Appendices: “Original Cap OBI”, “G/F Cover" & "Insert"
Description: This is scarce Japan ONLY Limited double album ( released in 1977 ) of his best album, coming with complete appendices. 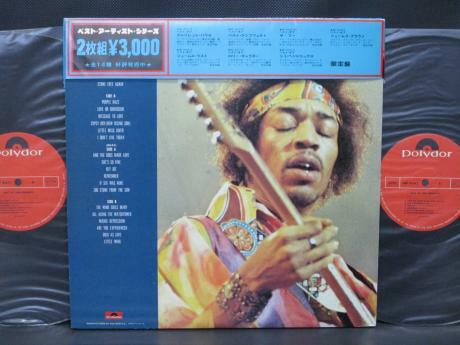 Japanese description says this is the “Limited Pressing Album”. 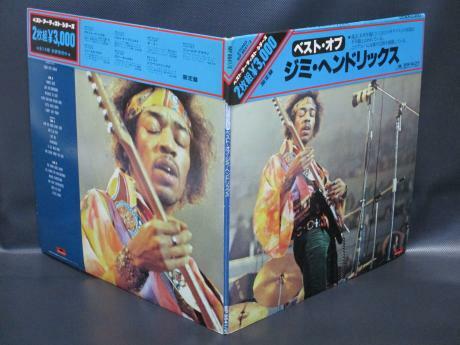 The gate-fold cover shows "Japanese description", "The Track-list" & "Photo of Jimi". This album includes following 24 tracks. It’s very hard to find this item in complete shape even in my country nowadays. 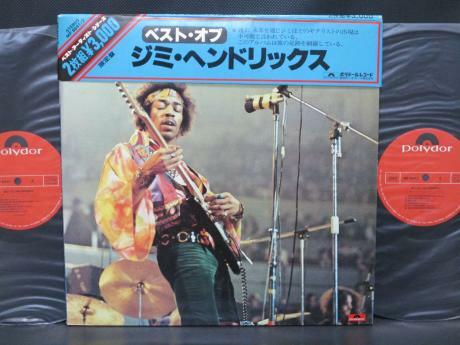 Scarce item from Japan to serious collector. COVER: Cover is partly worn on the corners, spine, right-edge & lightly other outer-edges. Brown spots are in places inside gate-fold. It’s clean on the front & back. 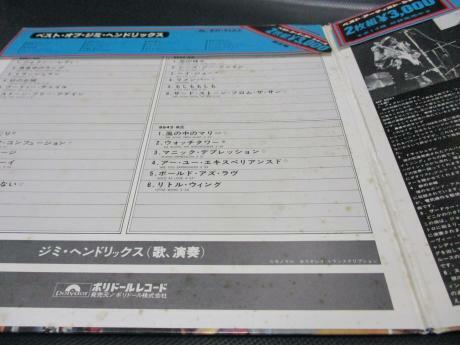 Otherwise it has no tear, ring-wear, dent, strip & writing...OK.
DISC 1: Disc 1 is nearly TOP in condition, keeping glossy. 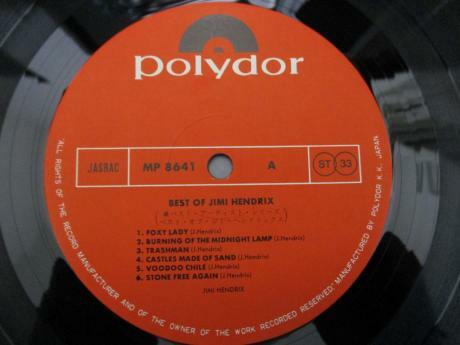 There’s a spindle-mark on the label of Side A. Otherwise it has none of any scuff, scratch & hairline, which can be rated as "NM". No flaw on the groove…very clean disc, we guarantee you. DISC 2: Disc 2 is nearly TOP in condition, keeping glossy. A tiny spot is on Side B-4. There’re a few spindle-marks on each label. Otherwise it has none of any scuff, scratch & hairline, which can be rated as “NM". 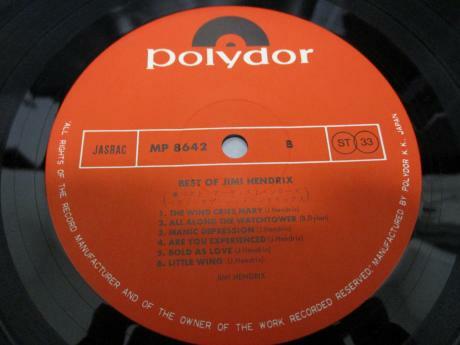 No flaw on the groove of Side A and mostly on Side B…very clean disc, I guarantee you. 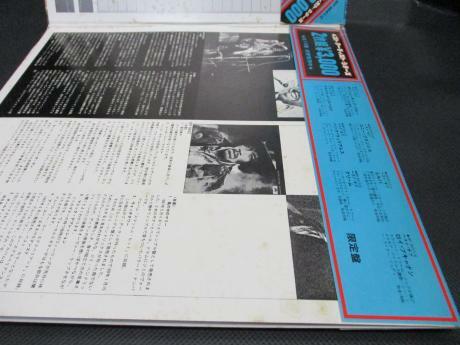 OBI: VG, which has some scratches on the front, back & inside gate-fold. Outer-edges are partly worn or creased. Otherwise no tear or stain on each side. INSERT: VG, being lightly tanned with slight ring-wear on the surface of each side.